LILY PRASAD is a winner! She's graduating from her Orange County high school at the top of her class, filled with big dreams of her future successes. But then her boyfriend leaves her for RESHMA MATHUR, the current Miss India America beauty queen. Determined not to be defeated in anything, Lily sets out to become the new MISS INDIA AMERICA! Along the way she will learn that you don't always win when you win and sometimes there is more to gain when you lose. MISS INDIA AMERICA was inspired by the groundbreaking one-woman show written and performed by Meera Simhan and produced by Megha Kadakia. It was an honest, unflinching portrait of what it is to be a young South Asian American girl growing into womanhood, presented in a sometimes hilarious, sometimes heartbreaking manner. The show refused to deliver a single stereotype, and presented a South Asian woman in all her beauty, and all her vulnerability. After the success of the show, Meera and Megha knew there was an opportunity to develop a great film. Meera teamed up with Ravi, and they co-wrote the film MISS INDIA AMERICA. Ravi Kapoor will direct the film.We have brought on producer and collaborator Saurabh Kikani to round out the core producers of a great and dynamic team.Your contribution and support will help our team do what they do best, which is tell a great, entertaining story! Miss India America set to start shooting this fall in Orange County. The goal is to raise $100,000 by September 7, and they need your help to make that happen. For more information about the project, and to make a pledge, head over to Kickstarter. 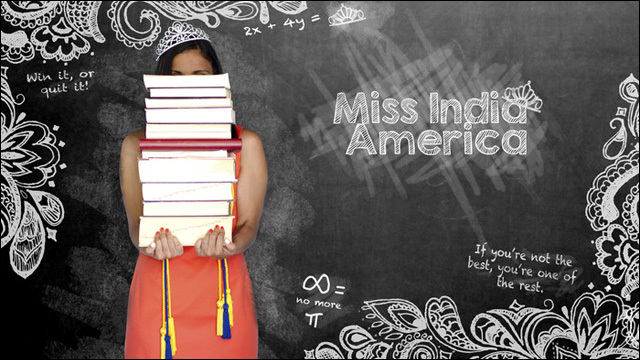 And for further updates, check out the Miss India America website.